When Rowen Black is assigned to the elite unit of angelic assassins known as the Shadowguard, he thinks his biggest challenge will be overcoming his less-than-stellar reputation. But that’s before he meets his match in Scarlet Montgomery. Beautiful, strong, and with a temper to match Rowen’s own, Scarlet is focused on the Shadowguard and her possible future as its leader. She’s become an expert at keeping her personal life separate from the Guard, all too aware that as the boss’s daughter, fellow warriors see her not as someone to be respected, but as someone to be protected. Avoiding entanglements gets a lot harder when Rowen saunters into the room. Rowen puts the bad in "bad boy." Their connection is hot, visceral, and instantaneous. When the pair are assigned to a joint investigation, they come face-to-face with their undeniable attraction, forcing Scarlet to consider that the connection is not only physical, but a destiny written in the halls of time. Lily Montgomery is perfectly happy taking care of everyone else. That is, until her friendship with Shadowguard warrior, Kane Dawson, begins to blossom into something more. But Lily has a secret. One that will keep her from ever making her feelings known to Kane. One of the Shadowguard’s fiercest warriors, Kane has a soft spot for Lily. 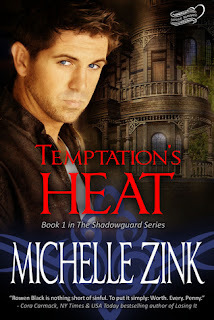 A long-standing member of the Shadowguard, he can’t figure out when his feelings for Ambrose Montgomery’s youngest daughter morphed from brotherly affection into desire and an unfamiliar longing that feels a lot like love. Kane holds himself in check knowing that Lily deserves better. A man in a suit, dinner at six every night, rosy-cheeked children who won’t have to worry that their father might be killed by one of the Legion’s wraiths. But when the pair are thrown together by a set of circumstances beyond their control, they are forced to confront their growing passion and decide if love is worth the risk of baring it all. Maggie O’ Reilly has her hands full. It’s all she can do to hold down her job at small-town newspaper and pay the nursing home bills for her deteriorating father. But a lead on a story from Ivan Montgomery might be just the thing to win her the promotion -- and raise -- she needs to secure her father’s care. Ivan Montgomery isn’t exactly Mr. Popular. As the son of Ambrose Montgomery, head of the Shadowguard, Ivan has a reputation for being surly and confrontational. But somehow Maggie’s spirit and vulnerability make him want to be a better man. Too bad a future between them is impossible. 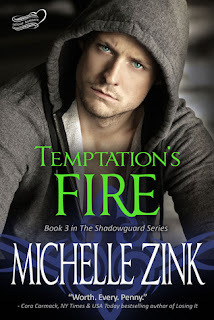 As an outsider, Maggie can never know that Shadowguard Security is a front for the Alliance, a group of angelic descendants who keep mankind balanced between the forces of light and dark. And that means she can never know who -- and what -- Ivan really is. But as the pair come closer to solving the mystery of who is framing the Shadowguard for murder, their attraction becomes impossible to deny. When a confrontation with a deadly foe forces them to face their feelings -- and their passion-- they will have to answer the question; can true love survive the ultimate secret? 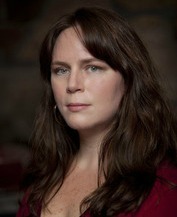 Michelle Zink lives in New York with her four children. Prophecy of the Sisters was her first novel, and was chosen as one of Booklist’s Top Ten Debut Novels of 2009 and as one of the Chicago Public Library’s Best Books for Young Readers. It has also been listed on the New York Public Library’s Stuff for the Teen Age and the Lone Star Reading List.